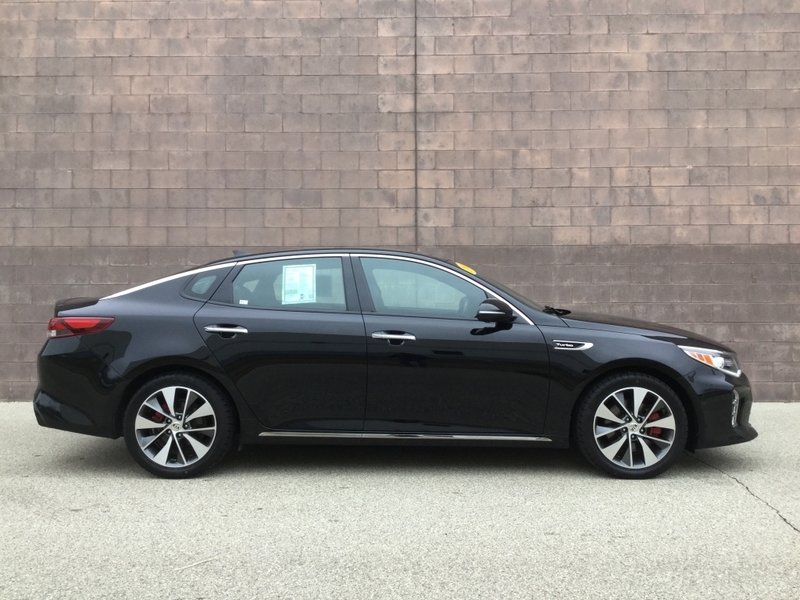 When you are trying to find a Kia in Milwaukee like a Kia Optima at dealerships near you, it isn’t always effortless. That is unless you come to Ewald Kia near Milwaukee for your next used Kia Optima for sale. At Ewald’s Kia dealer near Milwaukee, you can find a great selection of used cars for sale. We don’t just sell used Kia vehicles, either. Many other top brand manufacturers in our selection of used cars for sale. Why spend time traveling to other Kia in Milwaukee dealers who may or may not have the right vehicle to meet your driving needs? Ewald Kia has the used Kia Optima for sale that you have been longing to find. Like the 2016 Kia Optima SXL Turbo for sale. This used Kia Optima for sale has so many incredible features to discover. Including a built-in navigation system and blind spot monitoring for worry-free commuting. However, one of the best things about this used Kia Optima for sale is that it is factory certified. Be sure to ask your used car professional to explain all the incredible perks that come along with buying a factory certified Kia for sale. If the Kia Optima for sale isn't the vehicle for you, we have the perfect vehicle waiting for you in our selection at Ewald Kia. The used cars for sale in our lineup vary in sizes and equipment. These used cars for sale range in their performance, fuel efficiency, and style. You should easily find the one that suits your style and need the best. Shop with Ewald Kia near Milwaukee for the variety you're looking for when searching for your next used car for sale. We are ready to offer you the customer service and vehicle expertise that you want and need when looking for your next Kia in Milwaukee. Do you want to research your next vehicle at home? When you visit our website, you will find many helpful resources and tools. Find a vehicle that matches your need and even use our online payment calculator to get an estimated monthly payment. If you prefer shopping for your next car in person, give us a call and make an appointment. If you’re in the area, come in and see us at Ewald’s Kia dealer near Milwaukee. Shopping can be easy when you come to Ewald Kia for your next used car for sale. You can find luxury used cars, cheap used cars, and more. Whatever your vehicle preference, our knowledgeable sales team will be glad to help you find the used car you want and need. If your transportation needs are commuting to work, carpooling, or site seeing, we have the perfect vehicle for the job. We also provide certified repairs and maintenance, offer genuine OEM parts, and more. Stop on by Ewald Kia to find your next Kia for sale in the Milwaukee area today. Come out to Ewald Kia located conveniently at 36883 E. Wisconsin Avenue in Oconomowoc, WI 53066. Or give us a call to schedule an appointment at (262) 226-2341.